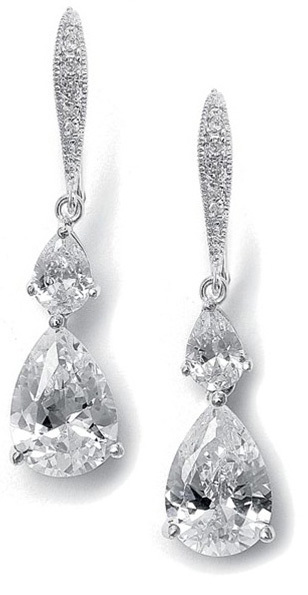 * Mariell's wholesale bridal or bridesmaid earrings with vintage details and glimmering CZ teardrops bring high fashion retro styling to any wedding. * Vintage detail in the top of these wholesale bridal or bridesmaid earrings is combined with glimmering pear shaped CZ teardrops to bring high fashion retro styling to any wedding, prom or special occasion. * These earrings measure a dainty 1 1/2" h.